While humans generally regard walking on water as some kind of miracle only performed by deities, certain animals and bugs do it all the time. Some animals that can walk on water do it to avoid predators, others to hunt their prey, and some even employ the tactic as part of their mating rituals. One mammal even appears to have learned a gravity-defying trick in captivity, only to teach it to her friends in the wild. Some use speed and surface tension, while others are simply too small to sink. Which animals walk on water as if they think they are Jesus or a magician? Find out below! Snails are small enough to remain afloat, similar to the aforementioned Brazilian pygmy gecko. How a snail moves on water, though, was once perplexing to scientists. In 2008, UCLA mechanical and aerospace engineering professor Eric Lauga told National Geographic he and a team of researchers found that a snail will create ripples with its foot, and then use the ripples to push itself across the water. These bothersome creatures are unique in that they can both walk on walls AND on water. According to LiveScience, mosquitos have pads on their feet called setae that enable them to walk up walls or stand upside-down on the ceiling. When it comes to water, where the insects lay and hatch their eggs, mosquitos have grooves in their legs that the water, due to surface tension, has a hard time getting into. Thus, mosquitos stay dry. 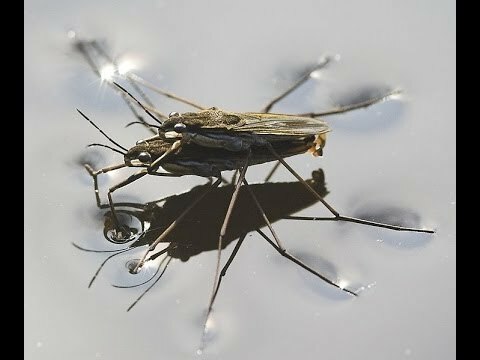 These bugs, also known as water striders or pond skaters, are able to use their long, spindly legs to spread out their weight, using surface tension to remain above water. Their legs are covered in water-repellent hairs. They use the middle pair to row across the water, while the back legs steer. 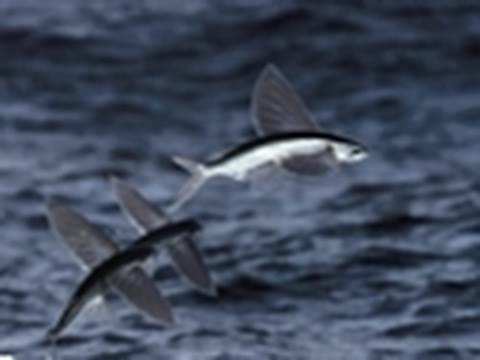 Exocoetidae, more commonly knowing as flying fish, are all kinds of fun to spot in the wild. They are able to gain enough speed underwater to leap into the air, then glide for considerable distances. They employ this trick to escape from other animals that wish to eat them, and they themselves feed on plankton. The fish is a national symbol of Barbados, and is featured on their $1 coin. It is also a key part of the country's national dish, cou cou.